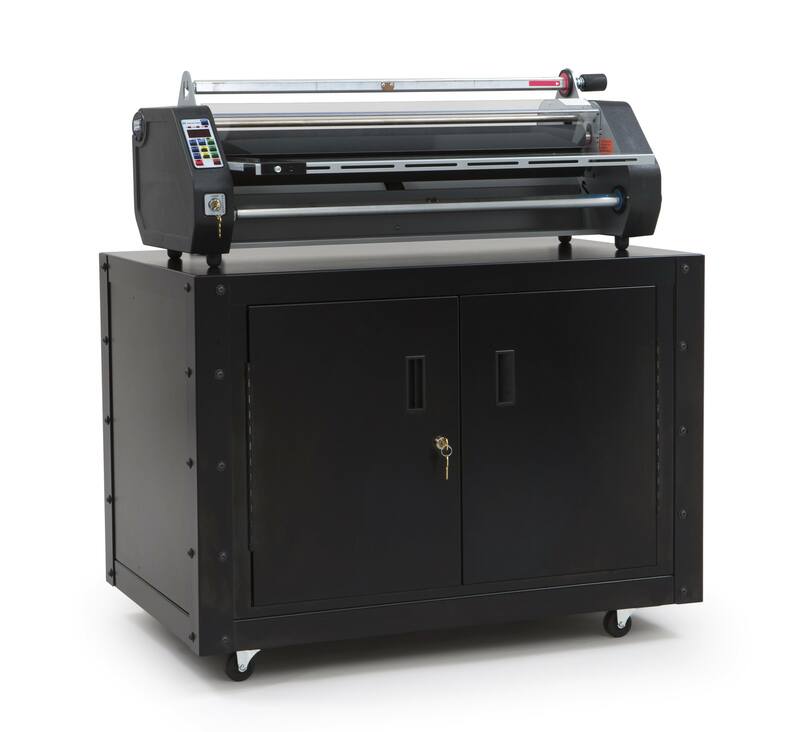 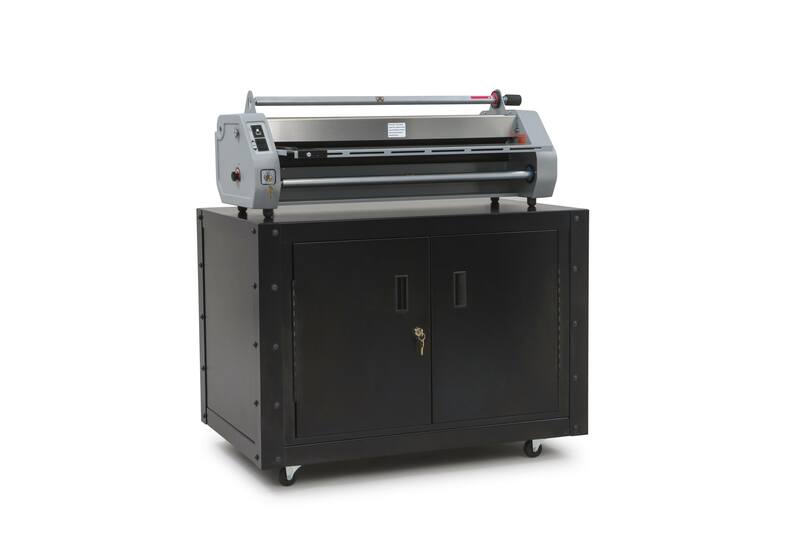 The DLLS29 Equipment Cart is perfect for use with the Wide Format DryLam Laminating Machines. 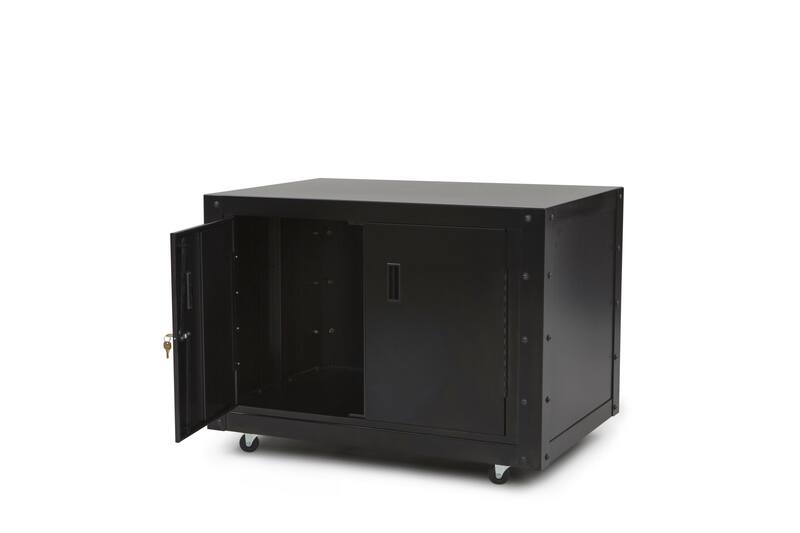 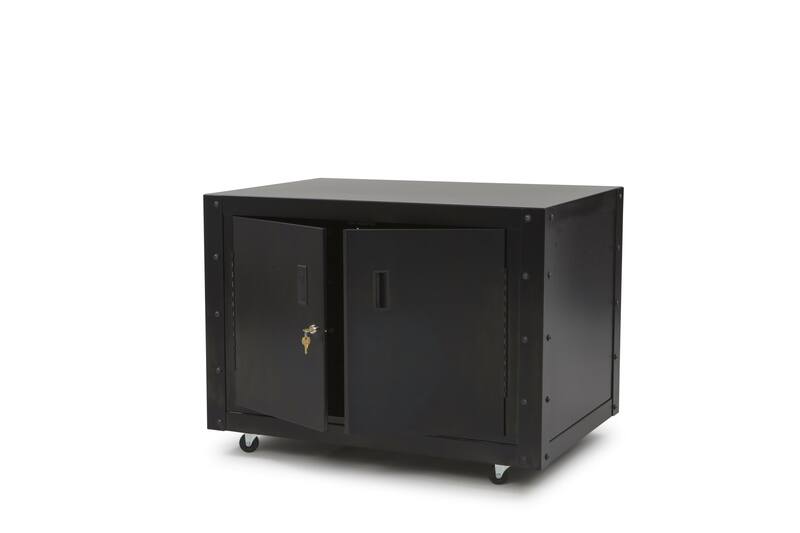 This black cart is made with heavy duty steel construction, 2 lockable doors, and has a steel rod brace to prevent unwarranted access to storage space. 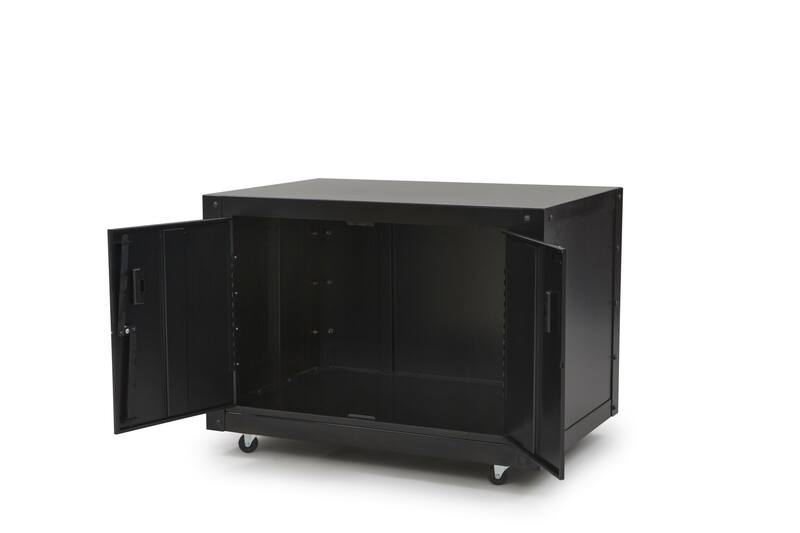 The non-locking, hard rubber casters make the DLLS29 Equipment Cart easy to maneuver.